Welcome to Aurora Limo, your first choice in limousine services in Aurora, and throughout the GTA areas, which includes Toronto. If you are looking to book a limo for your wedding day in Toronto, your high school prom that concludes the high school calendar year, or any other limo service that you require, Aurora limo will be happy to help you plan whatever the occasion is that you are planning a limo for. With so many potential uses for a limo these days, there are many different things that you can use a limo for. Such things include, planning a night out celebration with your friends, to simply have an outing, a limo will make the night much more special. If you are looking to go to a sporting event, a theatre show with a dinner in downtown Toronto, reserving a limo to take you around will make your day more special. Other traditional means for a limo include renting a limo for a bachelor and bachelorette party before you plan to get married, reserving a limo for a milestone birthday celebration, baptism and bar mitzvahs. 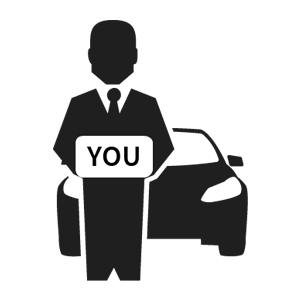 We even offer corporate limo services, which includes offering airport taxi limo services for clients looking to be taken to and from the Toronto airport. You may also have your clients get picked up as well. Aurora limo offers great limo fleet, professional drivers, friendly staff that will assist you with whatever your inquiry is, and we offer very competitive rates that will make sure that you choose Aurora Limo as your first limo option in Aurora, the GTA, which includes Toronto. Make your day and night more memorable by renting a limo to spice up the event and have your time with friends, loved ones and family be something to cherish.